Mary Cafferkey, an MSc graduate of TPI, leads the team of Tutors on the “Introduction to the Skills and Process of Counselling and Psychotherapy” module in Year 1. Mary’s MSc dissertation explored the role of the spiritual dimension within integrative counselling and psychotherapy. She also completed the apprentice trainers program at TPI. Prior to this, Mary completed a four year psychotherapy training with TPI. 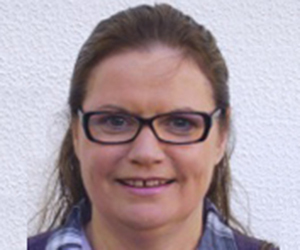 Mary has extensive practitioner experience and presently has a private practice in Mayo, working as a psychotherapist and holistic therapist. As an integrative psychotherapist, Mary draws from many approaches, including the Humanistic, the Transpersonal and the Psychodynamics, especially Object Relations. Mary’s therapist training began as a result of a period of ill health where she became interested in complimentary practice and medicine as an alternative route to wellbeing. Mary proceeded to train and qualify in numerous disciplines, including, extensive studies in massage and body therapy, aromatherapy, reflexology, spiritual psychotherapeutic, stress-management counselling, counselling skills, anatomy, physiology and basic pathology, and finally she holds a NUIG Diploma in Training and Education. Mary has also founded and currently facilitates Gynae support groups in Mayo and Galway, helping women come to terms with chronic gynaecological difficulties and infertility. Before turning to her long desired career in Psychotherapy, Mary enjoyed successful careers as both a qualified Chef and in management in a crafts retail company. MIAHIP, MIACP, MEAIP, MIMTA, MIRIL.